When your WordPress site suddenly crashes, it’s time for quick action. Perhaps you’ve just installed a bunch of plugins all at once, or made changes to their code. Now you’re facing the famous WordPress “White Screen of Death” and you don’t know what to do! But don’t worry. The first thing to do is to disable either the plugins that caused the failure. If you don’t know which one it is, then we need to deactivate all of them at once. While this is easy, sometimes even the WordPress administration screen doesn’t load! In such a situation, you have no choice but to fix the problem from the backend. I’ll first show you how to disable a single plugin, then how to disable them all. 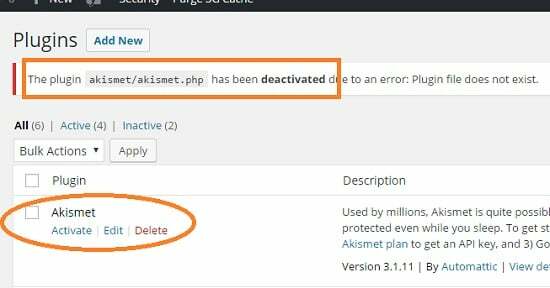 We’ll start with how to deactivate a single plugin on WordPress via FTP, or the cPanel file system. This folder contains one directory for each of your existing plugins. And now you can safely rename the folder back to what it was. 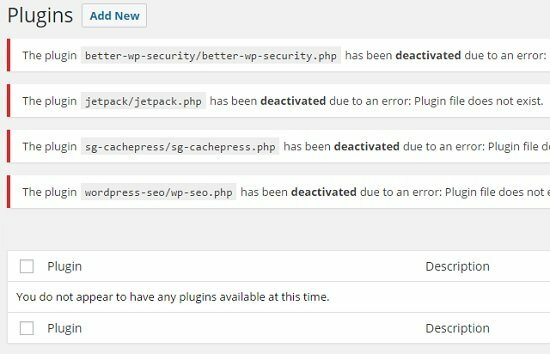 WordPress won’t re-activate the plugin automatically. So you can reverse whatever changes you had made before the WordPress crash! Sometimes you don’t know which plugin is causing your WordPress site to crash. This is typically caused by bulk installing or activating plugins, and you don’t know who the culprit is. Fear not – using this technique, we can disable all WordPress plugins at a single stroke! To disable all the add-ons in one go, just rename the plugins folder itself! You can see that the plugins have vanished entirely. WordPress can’t even find the directory! It’s a nuclear solution, but one that may be necessary to get your site back up again. Now you can again rename the folder back to “plugins” and they will all show up in the deactivated state. After this, simply activate your plugins one by one to find out which is causing the crash. Once you find it, use the first method to disable it again and then you can proceed with further troubleshooting. 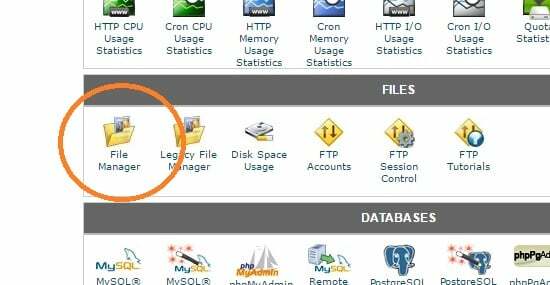 These are the easiest ways to disable WordPress plugins via FTP, or cPanel. You can do this for a single plugin, or en masse. Best of all, it’s perfectly safe and you don’t need to mess around with databases or SQL statements to get your WordPress blog up and running again! If you want to avoid the hassle of dealing with these errors yourself, consider switching to a WordPress specific web hosting service. With these plans, customer service will be able to help you get your site up and running again if it’s a WordPress related issue. You can check out the pricing comparisons of various plans in the link.